Inspired by the name and flair of the Parisian student quarter Quartier Latin, Mike Jones (lyrics), Steve Skaith (voice and guitar) and Richard Wright (guitar) founded the British band Latin Quarter in 1983 – a band that was like a melting pot of different cultures. The music styles were just as different as the subject matter of the songs; with their committed lyrics they vented their own anxieties over issues such as America during the McCarthy era, everyday racism or unemployment. Their songs captivate through a mixture of rock, reggae, dance and ballads. 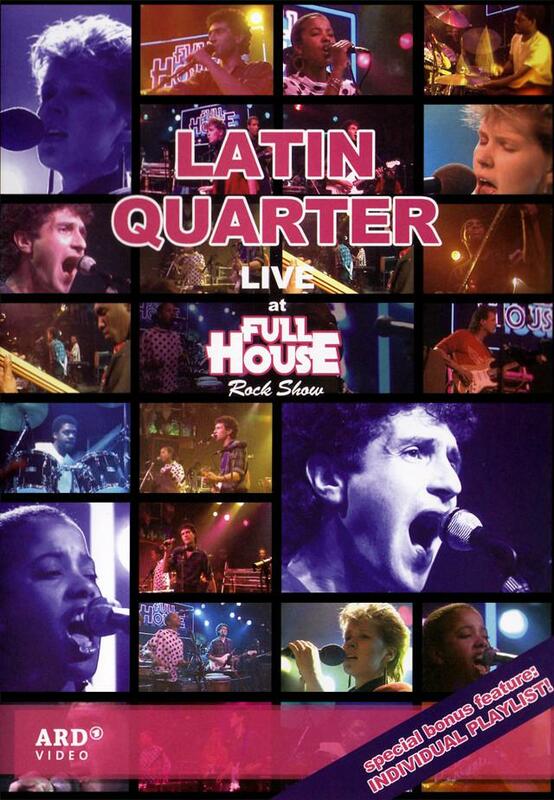 This DVD brings you Latin Quarter in 1986 at the height of their success from the Full House Rock Show, Hanover featuring the hit single Radio Africa.